Two after school classes now being offered from Sept 2015! So many people were on the waiting list that a second after school club is being offered on a Thursday. The first (3.45 – 4.45pm) is aimed at years 4 and 5. The second (5 – 6pm) is ideal for years 6 and above. As before, all material, equipment and tuition is provided. 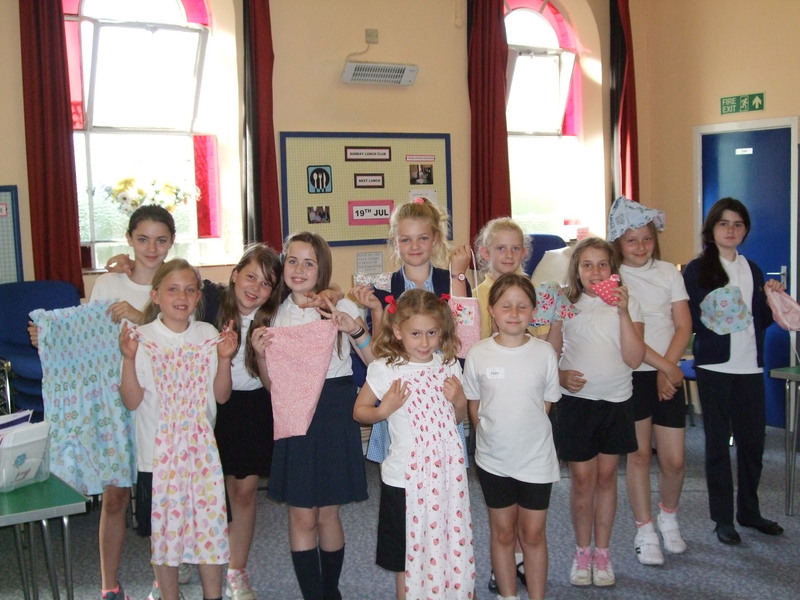 Young people do not need to have used a sewing machine before. This term we have some great projects organised on the theme of ‘Study’ and then, from November, ‘Christmas’. Pictured are last terms after school club sewers showing off their lovely dresses. I look forward to welcoming lots of them back from September 17th!